Stephen Sullivan, Executive Pastry Chef Westgate Resorts Las Vegas, is the winner of the 29th edition of the US Pastry Competition, dedicated to “The Great Race”, which took place on March 4 in New York. 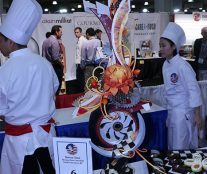 The podium was completed by Steven Tran, who came in second place and Courtnet Cornier in third place. 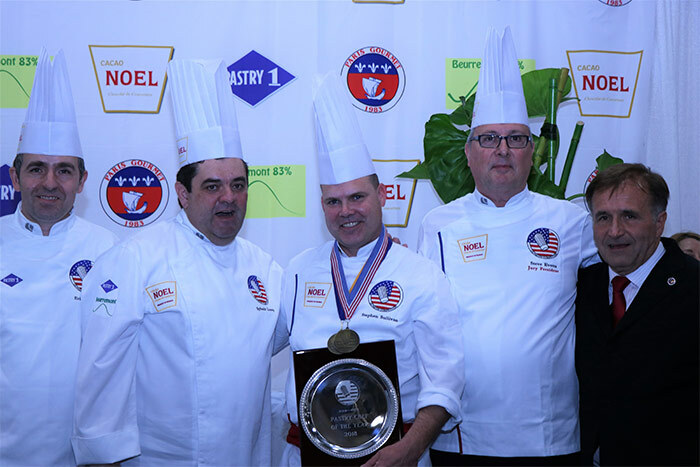 The chef, who was born in Long Beach California, began his career in 1988 when he joined the United States Marine Corps and baked bread for his teammates in the Persian Gulf War in Saudi Arabia during Dessert Shield and Storm. 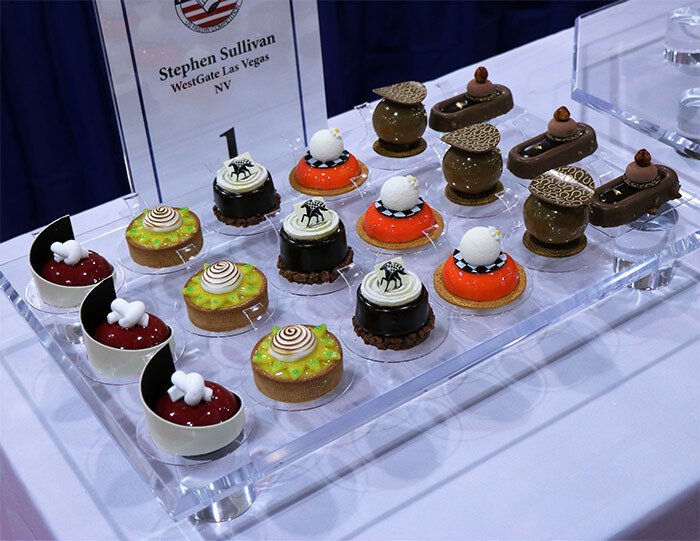 After his time in the corps, Sullivan has worked as a baker, cake decorator, and bakery manager. 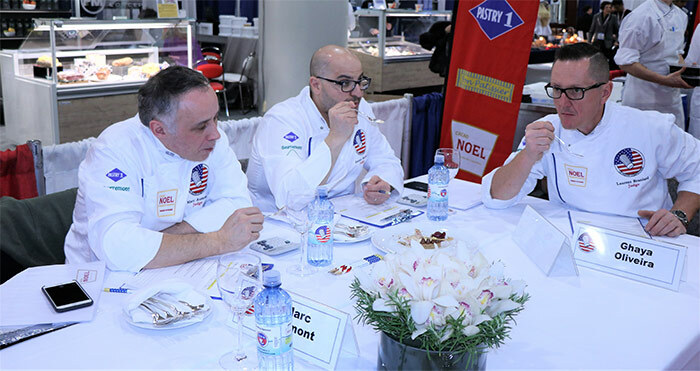 In this time, he has trained in advanced pastry, mainly in chocolate and sugar showpieces, in the hands of great chefs such as Davide Malizia, Ewald Notter, Jerome Landrieu, and Jean-François Castagne. Fantastic professionals who have helped him grow steadily and “stay hungry,” says Sullivan. 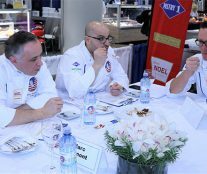 His goal now is “to be distinguished among the best and be as strong in the new trends at the end of my career as those shining new rising star chefs are at the beginning of their career”. For the time being, he has added three career highlights to his curriculum: the super Large Gingerbread House he designed, Fairmont San Francisco was on cover of the San Francisco Chronicle, the reproduction of the Golden Gate Bridge out of chocolate for the 75th anniversary of the Golden Gate Bridge Fairmont San Francisco reproduction of Emmy award Beverly Wilshire Beverly Hills. 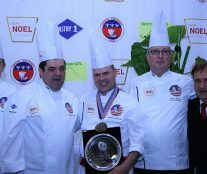 He had been planning his participation in the US Pastry two years before the event. 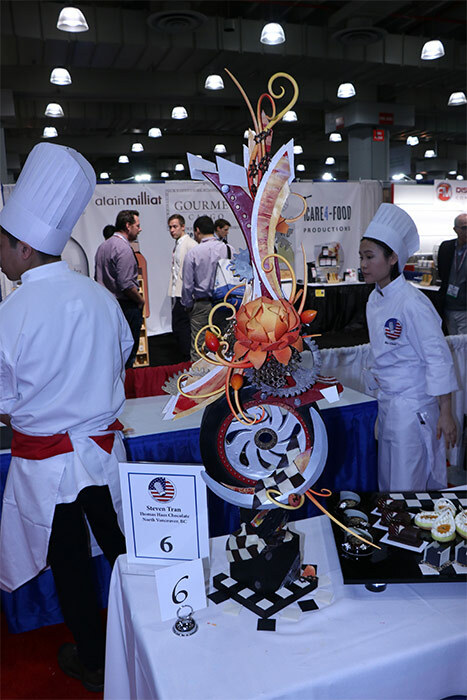 During a whole year he planned and developed, with the supervision of the chocolatier Vincent Pilon, all the pieces to be presented in the competition: showpiece, plated dessert, and dessert buffet. What many people do not know is that this competition is not new to him. 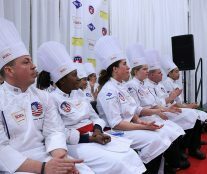 In 2008 he tried his luck as a contestant and ten years later he wanted to repeat the experience with the desire to “win to show respect to all the chefs who took their time to mentor and train me and show them that I did not waste their time”, he explains. 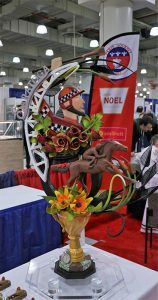 Sullivan has won with a showpiece dedicated to horse racing. “Here at Westgate Las Vegas we have the Worlds Largest Sportsbook and the Worlds Largest Wide Screen TVS and when they came out with the Great Race theme I would pass by the Sportsbook and see all the horse racing and knew right away that was what I wanted to theme my work around and they also have a large sculpture of Man of War in the hotel so I knew I wanted to have a horse on the piece and continue to develop my style of chocolate showpiece somewhere in between the works of Vincent Pilon and Lionel Clement.” To make the desserts, the chef was inspired by the new molds of Silikomart and Pavoni, “wanting fun shapes and by the works of Chef Johan Martin and the works of Bellouet Conseil Chefs with fun colors, great textures, and outstanding flavors”, he comments. We have also talked with him about the flavors and ingredients used. 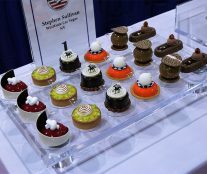 “When I worked at The St. Regis Monarch Beach Resort and Spa, I fell in love with flavors working with Executive Pastry Chef Gregory Gourreau. I have read a lot of works by Pierre Hermé; Francois Payard and Johann Martin so I wanted classic flavor combinations such as Passion Fruit; Banana; Coconut for my fruit desserts. For the chocolate desserts I was interested in the works of MOF Stephane Glacier, Vincent Pilon, Nathaniel Reid, and Antonio Bachour: Chocolate Hazelnut; Bittersweet chocolate and salted caramel, just simply flavors with tons of properly matched textures. 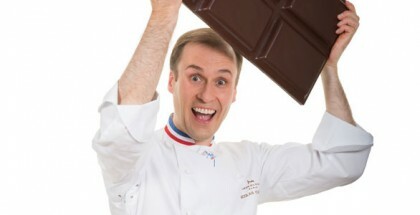 And I had Noel Chocolate and Ravi Fruit Puree so top ingredients presented in a modern way “.